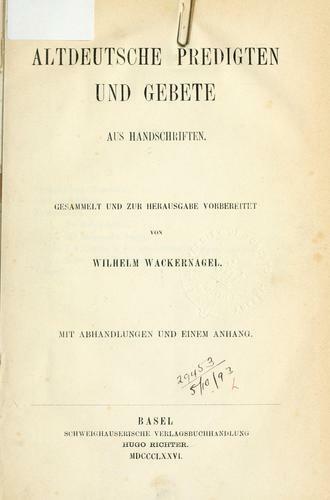 3 editions of Altdeutsche Predigten und Gebete aus Handschriften found in the catalog. Add another edition? Are you sure you want to remove Altdeutsche Predigten und Gebete aus Handschriften from your list? mit Abhandlungen und einem Anhang. 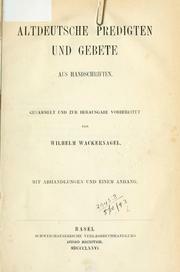 Published 1876 by Richter in Basel . Written in German, Middle High (ca. 1050-1500). May 29, 2009 Created by ImportBot Initial record created, from Internet Archive item record.